Posted by gildsc on Monday, April 22, 2013 in Energy, News. 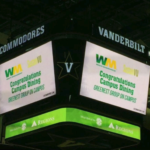 As of November 19, 2014, Vanderbilt is coal free! Vanderbilt University currently has an on-campus co-generation, natural gas-fueled power plant which produces 23% of our electricity and 100% of our steam, servicing 12 million square feet of building space. This steam is then used for 90% of campus heating, sterilization, and 40% of campus cooling. This cogeneration process is quite efficient: heat, which would otherwise be a wasted byproduct of electricity and steam generation, is used to produce more steam and hot water. The remaining 77% of electricity consumed at Vanderbilt is purchased directly from Nashville Electric Service from Tennessee Valley Authority (TVA). The plant is now fueled by 100% natural gas. The conversion of the plant replaced the coal-fired boilers with natural gas boilers, retaining the same power generation capacity. The iconic smokestack, silo, and other coal infrastructure were demolished in the Spring of 2015 as part of a broader renovation to modernize the plant. Click here for a time-lapse video of the demolition of the stack. 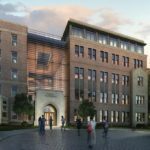 Why is Vanderbilt modifying its power plant? Age of the existing boilers. The boilers were more than 25 years old and near the end of their expected life cycle. Improved operational efficiency. Modern natural gas turbines and boilers deliver higher fuel efficiency, less maintenance, and more reliability than other forms of power generation, such as coal fired boilers. New environmental regulations. 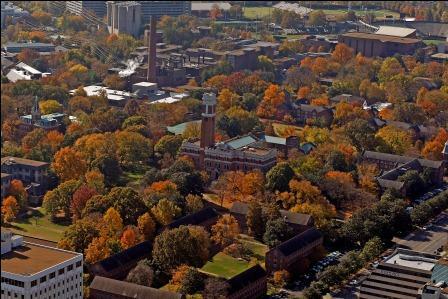 The Environmental Protection Agency (EPA) has enacted new regulations on the operation of institutional boilers and the state will eventually have to determine the impact of the Clean Power Plan on Vanderbilt’s power plant. Not only were new boilers needed, but additional air emission controls, manpower, and recordkeeping would eventually be required. The conversion puts us ahead of the curve in meeting any new regulations. Environmental impact improvements. 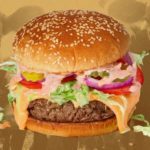 The new plant, fueled entirely by natural gas, has reduced greenhouse gas emissions, air pollutant emissions (such as particulates), and noise pollution. Additionally, associated transportation fuel use and emissions due to coal trucking needs was completely eliminated. What are the benefits of using natural gas? 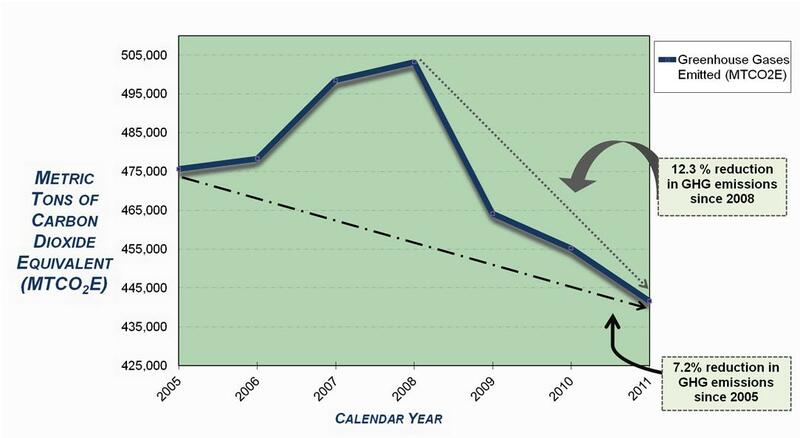 Significant reduction in air emissions. Switching to natural gas from coal reduces Vanderbilt’s emission of particulate matter by more than 50%, and virtually eliminates emissions of sulfur dioxide (SO2) and other air pollutants. 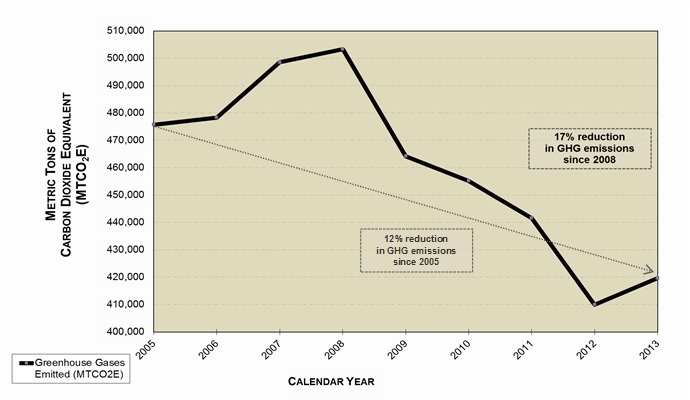 Fewer greenhouse gas emissions. Natural gas boilers significantly reduce the power plant’s carbon footprint, which will be dependent on the efficiency ratings of our equipment and energy demand on campus. Elimination of coal trucks on campus. Prior to this conversion, five or six large trucks delivered coal to the Vanderbilt power plant each day. This truck traffic, and associated transportation fuel use and emissions, were entirely eliminated with the installation of natural gas boilers and turbines because natural gas is now delivered to the plant via underground pipelines. Operational experience. Prior to the conversion, Vanderbilt already had two natural gas turbines, which were installed in 2002. These turbines currently produce steam and electricity in a highly efficient manner. Thus, Vanderbilt’s power plant operators are already thoroughly familiar with their operation and maintenance. 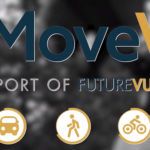 It is a reliable technology that will meet Vanderbilt’s needs for decades to come. Return on Investment. 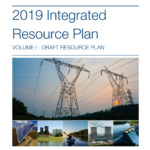 The investment for the conversion of the power plant to all natural gas fuel, with associated removal of coal-fired boilers and infrastructure, has an estimated payback period of 10 years, dependent on natural gas costs in the future. Furthermore, Vanderbilt will avoid investing additional money in outdated coal technology. Improved visual aesthetics of campus. The tall brick “smoke” stack and coal silo located at the power plant have been dismantled and removed, making the power plant ‘blend in’ more with surrounding buildings. Why does Vanderbilt even have its own power plant?? Most large universities generate their own power in some way and have done so for many decades, primarily because the universities tend to pre-date the power grids of their surrounding town or city. Vanderbilt is no exception. Because Vanderbilt is a major regional Level 1 Trauma Medical Center and Children’s Hospital that houses important experiments and samples for biomedical research, it is essential to be powered by reliable, uninterruptable energy supply 24 hours a day, 7 days a week, 365 days per year, especially in the event of a widespread emergency or loss of power in the Nashville community, such as during the May 2010 flood or past tornado events. Because of the emergency needs required by our Medical Center and research facilities, Vanderbilt will continue to have an on‐campus power plant for many years to come. If Vanderbilt chose to shut down the power plant completely and purchased all electricity, steam and chilled water needs from NES/TVA, it would double greenhouse gas emissions from VU. An extra 340,000 metric tons of carbon dioxide equivalents (MTCO2E) would be generated by shutting down the power plant entirely, at a minimum, due to “line losses” from electrical transmission and because TVA’s plants are less efficient than ours. 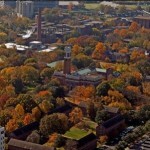 How can Vanderbilt take steps to reduce our use of non-renewable energy sources? The most cost-effective and environmentally-friendly way to reduce our use of non-renewable energy sources is to first reduce our demand for energy. Check out SustainVU’s ThinkOne website for tips on energy conservation on campus. The kilowatt not needed is the most environmentally-friendly kilowatt of all! So it will take us all working together to reduce Vanderbilt’s reliance on nonrenewable energy sources. Energy-saving efforts have reduced VU’s coal use by more than 25% since 2007 and shrunk Vanderbilt’s ‘carbon footprint’ by 17% since 2008. The conversion of the power plant to 100% natural gas will continue to shrink this carbon footprint. We need to keep up the good work and continue the energy usage reduction trend. Creating Sustainability and Environmental Management Office (SEMO). Hiring a Campus Energy Manager to implement building retrofits and energy efficiency projects. Making TVA’s Green Power Switch a part of VU’s power portfolio (Vanderbilt is the largest purchaser of green power in the NES distribution area). Launching the campus-wide ThinkOne energy conservation campaign and the Eco-Dores environmental peer residential mentoring program to promote smart and efficient use of utilities via education and behavior change. Implementing of aggressive night temperature and lighting set back programs, lighting retrofits, and re-commissioning of utilities in older buildings. Designing or renovating of 15 projects on campus that meet requirements for the U.S. Green Building Council’s Leadership in Energy and Environmental Design (LEED) designation, the nationally accepted benchmark for the design, construction, and operation of high-performance energy-efficient green buildings. 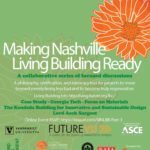 More information about sustainable building at Vanderbilt can be found on Campus Planning and Construction’s Sustainable Building page or the SustainVU Green Building page. Reducing amount of fuel of fuel used by Vanderbilt’s fleet of vehicles by converting to electric-powered vehicles and size reduction. Installation of 15 new electric car charging stations on VU campus. Installing three projects involving solar generation: a partnership with TVA to install solar-powered electric car charging stations, an array of solar thin films at the power house as a part of the first Green Fund Project, and installation of four solar-powered electronics charging stations throughout campus as part of a Green Fund Project. Read more about the conversion at Inside Vandy. Read more about the conversion on NPR.